Disconcerted I steep out from the basement. Some seconds ago the sky was blue and the sun was shining. But, things changes and now I´m gazing into some heavy big raindrops that comes smashing down from a now totally fray sky. So, instead we are sitting on the stairs looking on eatch other and wondering what happened!? Either of us is specially interested in doing this walk in the rain and defenitly not interested in a hike back up the glacier ladders back to Montanvers in some thunderstorm. So better to steep back and find an option for the day. Trying to turn the focus to some single pitch sport climbing doesn’t seam to fancy either of us. The necks hanging even deeper when that comes up as an alternativ. 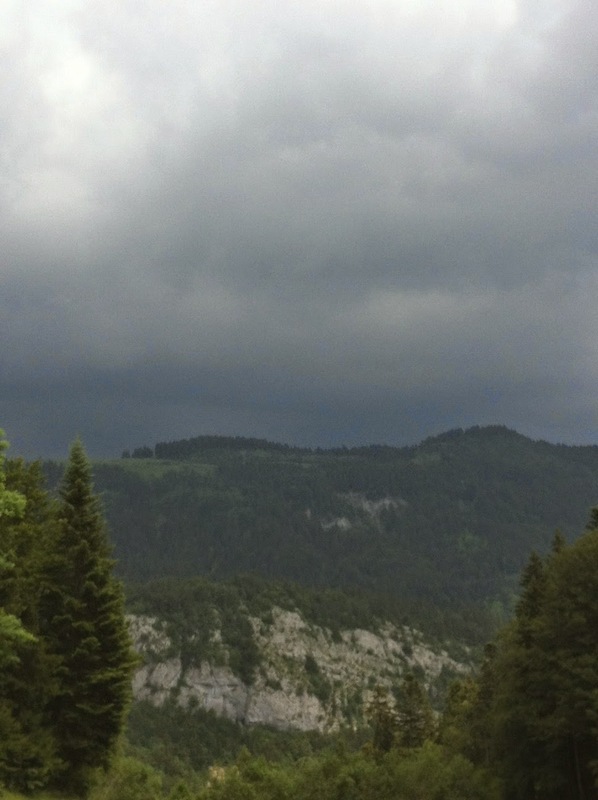 Maybe, just maybe isn’t there a slight chance for an Aiguille Rouge trip instead. The side where the suns always shines! We defies the small amount of raindrops, which now feels more like a nice summer breeze compered to the hammer fall just half an hour earlier. 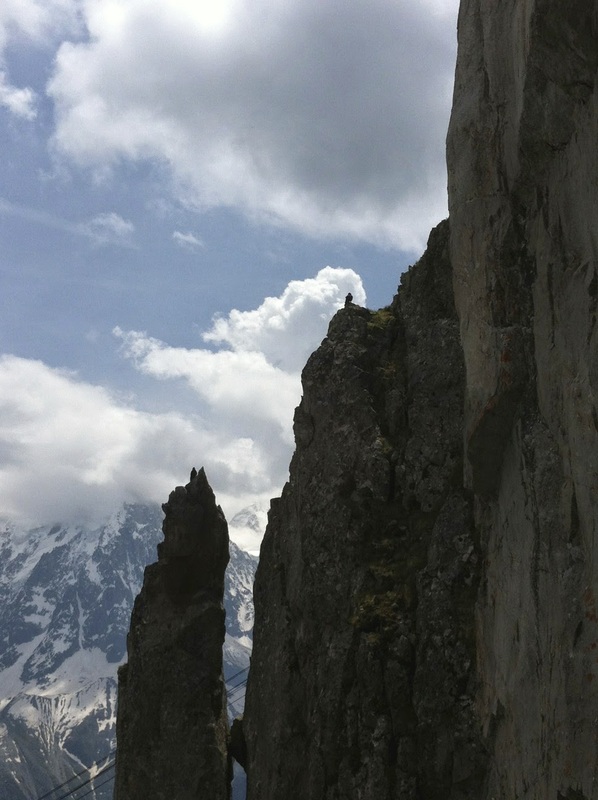 the start of "Premier de corvée"
And since there are no bolts, exept on the belays, the route still feel like an ”real” route. 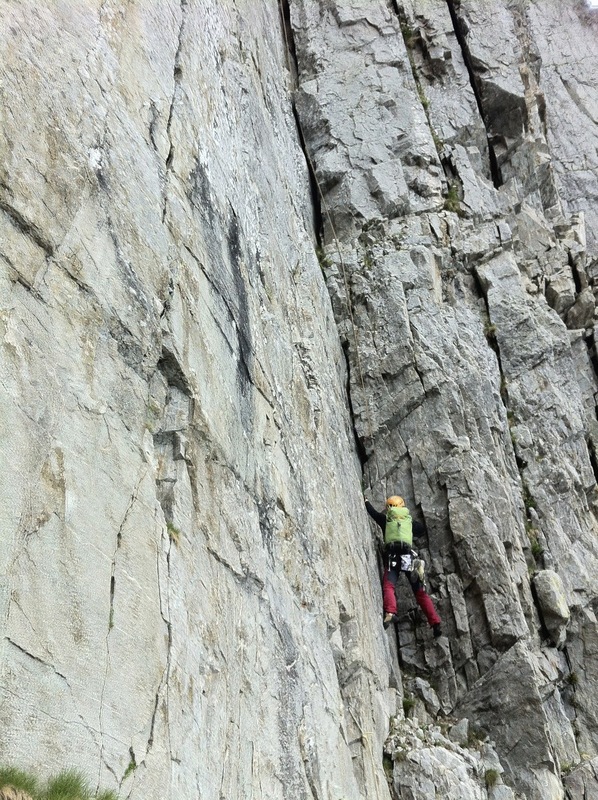 With nice undamaged cracks over 5 pitches. 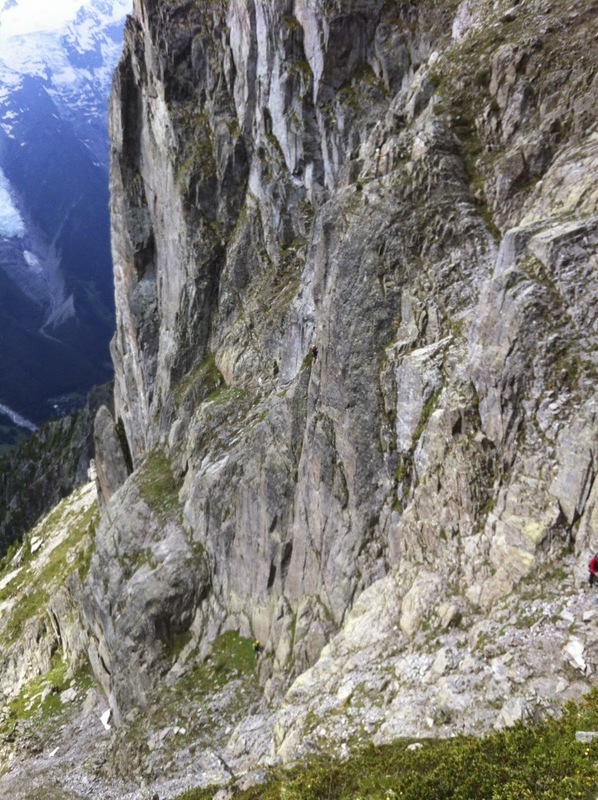 And as always in Chamonix, don’t let the grade foul you! 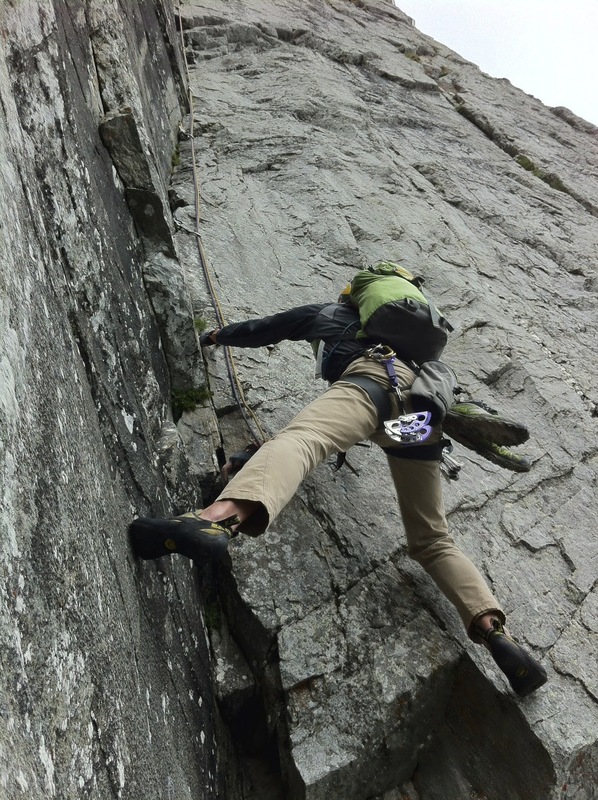 The first pitch ”de corvée” is a bit of a bouldering kind. Short sections of tricky tricks, most entertaining. Second and specially the 3rd one is very nice. With a beautiful gnejs crack. The last 2 pitches is said to be loose. But nothing spectacular, we found it just as it normally is in the mountains. 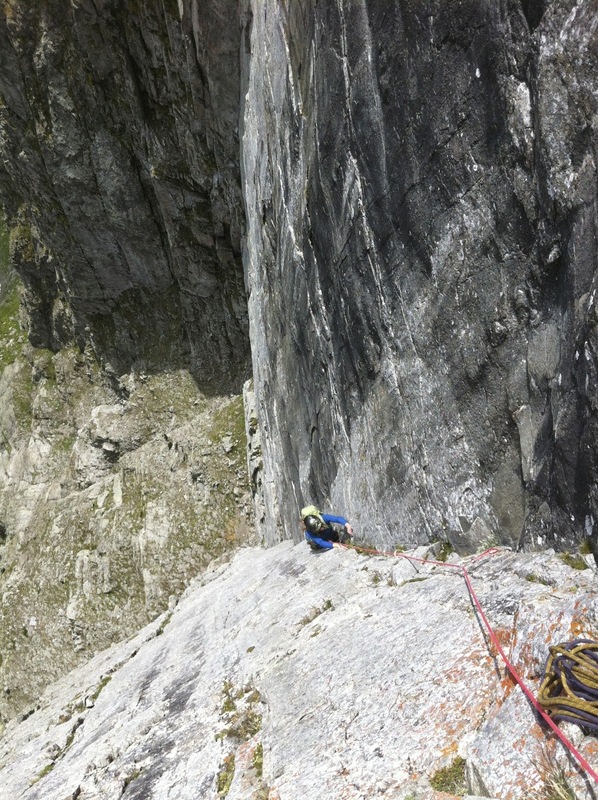 A route well worth climbing!